Hi ingo, Ny name is Jason Russell. I tried to get ahold of you through youtube but never herd back. i am always watching your videos. I absolutly love knopfler and the dire straits. I have only been playing the guitar for a year but my brother who has been playing for about ten years says i am better then him already. I practice alot and i only use my fingers like knopfler. I am always trying to figure out some of the sounds and the way he plays but its hard to see and i havent been playing long so its hard to here it still. But then i see you and you have it down awsome. I was hoping yuou could give me some tips, you have been playing this style for a long time, as long as i have been alive!!! So i was hoping you could stear me in the right direction kind of like you did. Please Please. I just watched that video with the three different strats. I cant afford a good guitar like that, im super poor here in america, ni have a sqiur strat and an Ibanez Gio strat and a yamaha accustic all were givin to me for free. I got into a bad accident and was hospitlized for about 2 years so my brother bought me a guitar as long as a promised to play it, i havent put it down yet i love it so much. I practice for around 5-8 hours a day. And the only sound that i love, is the knopfler sound. I listen to all kinds of other guitarist like, hendrix, stivie ray vaughn, clapton, muddy waters, the stones but nothing and i mean nothing sounds as good or gives me that feeling like when i listen to the striats. You seem to know everything about knopfler, his sound his equipment everything. I am saving up for the knopfler signiture strat but its about 1200 dollars here in the us. i have 500 of it. Plus im not getting the guitar without a nice amp. i have the compression pedal. So can you help me get the knopfler sound please. just watching the video you did with the different three strats, you were playing the first part down to the waterline. That chicken pickin sound. I play the guitar, I love the guitar and i love the knopfler sound. I just have no clue on how to get the sound, the fingerstyle is hard but im getting there i just need some help man, then me and you can jam together, i just like to sit and listen to you play man your awsome, well please contact me about this that would be awsome Ingo, Thank you so so so so much. first of all sorry for replying rather late (holidays time ...). I am not 100% sure how exactly I can help you. Let's start with the gear. The video with the three Strats (I guess the one where I compare two MK Signatures to a '64 Strat) was recorded via a mic'ed music man amp, no effects other than a bit reverb, nothing special here really. I don't think that the guitar is essential here, of course a nice sounding guitar is a must to start with, but to my experience there are many affordable Strats that sound really, really good, while some of the expensive ones do not. 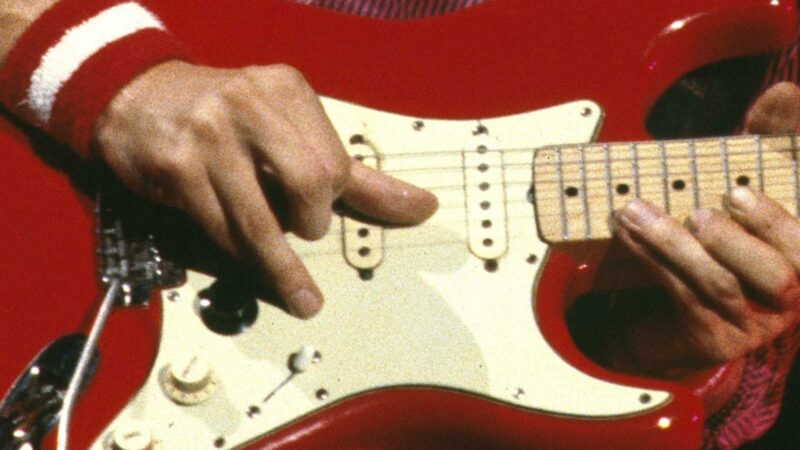 And one thing many people seem to forget all the time is that all Strats are individual pieces of wood so that each one has its own distinctive sound. So the question is not just which Strat model (US vintage, MK signature, Mexican, Japanese,...) do I need for a particular sound, what matters is only to find a Strat that sounds as you want it. Three Strats with exactly the same specs might sound very different! More important is definiely the playing technique. A cheap Strat played the right way will give better results than the best Strat in the hands of the wrong person. There are many sources (e.g. on youtube) that explain how to get the MK sound and how to play those licks and solos, when I started in the late 70ies there were absolutely none! So it is like heaven now for anyone who wants to learn. With more and more practice you will automatically get closer to the sound, and one year is not that much, I don't think anyone gets the sound nailed down with just one year of guitar playing. So keep on picking and trying, the reward will come automatically. If you have particular question, you can also use this forum to ask them and get help from me or from many other players as well (I dare to say that all serious MK style guitar players visit this place more or less regularly). I've not found any forums, Web sites, dvds or books that explain Marks right hand so in the end I'm have to watch hours of his footage and look back at the guys that influenced him. Mark developed his right hand techniques whilst doing the pubs and clubs the the south of England in the early days before dire straits ad even before he could afford a decent electric guitar setup. At the time he was using a acoustic guitar and learning to master that. Marks main focus was his song writing. The guitar was secondary and a took to give his songs a voice, platform to be heard. Hid voice not being the best he had to put in some extra work at getting the guitar to sing with him. With this in view we need to put down our electric guitars, our plectrums and pickup our acoustics. Now we need to get that right hand trained and our fingers working independent of each other. First, if new to finger picking checkout Mark Hanson art of travis picking and second book the art of solo picking I think they are called.